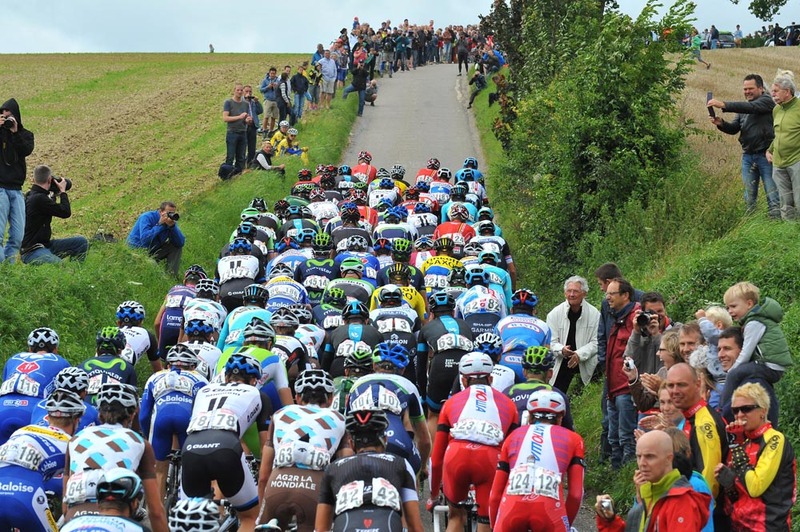 The BinckBank Tour – formerly known as the Eneco Tour – is a WorldTour-level week-long race incorporating stages in both the Netherlands and Belgium. In 2019, it takes place between August 12-18. Thanks to its undulating terrain, its short, steep hills and cobbled sections, the BinckBank Tour already has the feel of the Spring Classic that spring forgot. As a result, it produces winners that wouldn’t usually be tipped for WorldTour stage races. The route for the 2019 race is yet to b announced, but we’ll update this page with details when they become available. Peter Sagan (Bora-Hansgrohe) rued the lack of cooperation from other riders as he missed out on victory on the final stage of the BinckBank Tour. Lars Boom won stage five of the BinckBank Tour to go into the race lead as the general classification started to take place on a lumpy day of racing. After a flat first half of the race, the BinckBank Tour actually looks like it could be quite exciting for the last few days, with 35 climbs in three stages. Stefan Küng (BMC Racing) won stage two of the BinckBank Tour to move into the overall lead with a strong time trial performance in Voorburg.